I’ve been having a lot of fun drawing and colouring in these new mandala designs! They are all hand drawn and then scanned and coloured in digitally in Photoshop. These designs work really well on a lot of the products in my Zazzle and Society6 stores, especially on anything round shaped like wall clocks, round pillows, watches and more. They also look nice on the other products too! 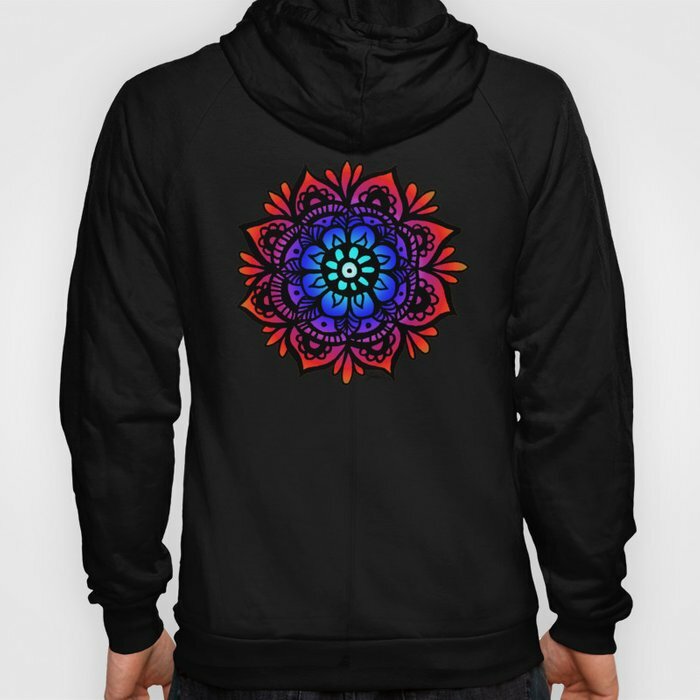 I hope you like these latest designs of mine, feel free to let me know what you think by leaving a comment below! I will be creating more of these mandalas in different colours and adding them to my shops very soon, so make sure you are following my blog so you won’t miss what I create next! Check out this awesome website for creating share-able images, optimized for Pinterest and more! Created by Colleen Michele of “Pretty Wedding Paper”. You can use either a link to a Zazzle “Collection” or a single product to create an image. If you choose to use a collection you can select from the topmost 18 products in your collection and just check off which ones you want to include. There are also options for different background and decoration options, or you can upload your own images to use! You can also choose the size of each individual image, how many columns of products you want to have, and whether you want a horizontal or vertical layout. Generally, if you are going to pin to Pinterest I think vertical is best. You can pin your image directly to Pinterest from Colleen Michele’s website, just make sure to add a link with your own referral code under Pin URL. Otherwise you can download the image to use later! As you can see I’ve already had some fun creating images from my own collections! I think this is a lovely, simple tool and the images look much nicer than my own attempts for Holiday Gift Guides and such, which is another thing these images could be used for! Welcome back to my 2 part series on Selling your Art on POD Websites: Zazzle vs Society6! I hope you’ve had a chance to read Part 1, but if not you can do so here. Now, carrying on from where we left off…. On Zazzle you have to wait until your balance clears $50 before you can request a payout to Paypal, or $100 to request a cheque. Society6 pays you out automatically to Paypal, with whatever balance you have on the 1st of the month following the 30 day clearance period. I am not sure if any other payment methods are available from them. As you can see, I have ordered a few items for myself and as gifts from both stores. Overall, I have been happy with my purchases from Zazzle and Society6. It’s a little hard to compare the quality of items from these stores since I’ve purchased different types of things from each, but I do think the products on Society6 LOOK nicer (on their website at least). On Society6 all of their apparel is American Apparel brand, so are of consistent quality but not *the best* quality in my opinion (the shirts are a little thin). The cell phone case (see above) I purchased from them was OK, but didn’t provide much in the way of protection for my phone. The design looked quite nice and crisp however. I ordered a biker tank from Society6 (not pictured) which has a nice image, but is sized very large (granted, it was unisex and I should’ve ordered an XS). On Zazzle, the t-shirts are a nice quality (thick, see above) but the prints do fade after awhile (after several washes), which is to be expected. Some mugs I had ordered for my parents (also not pictured) looked OK but the image quality was a bit fuzzy (which may have been my fault due to not uploading high enough quality images). The trucker hat (see above) I ordered was pretty nice and the detailed image came out clear. A friend of mine ordered a watch from Zazzle which looked very nice and she is happy with it still, 6 months later. Another point about Zazzle is that there are WAY more products to choose from, with new items added on a regular basis. This can be a little overwhelming, but since there are so many options you can create niche stores for things like just t-shirts or baked goods or only home decor products for example. Personally, I am a little haphazard in my store and just make whatever the image looks best on! Society6 has a more refined list of products available in their store but they do add new products occasionally. Their recently added throw blankets look really nice and cozy. I have to say Zazzle definitely takes the cake in this regard, for having the simplest marketing options available. They have a very easy “sharing” section on the product page where you can copy and paste a ton of different links, share to social media, or select a nicely laid out clickable product image with options for both HTML or BBCode. You don’t need to know any coding or even have an image editing software in order to advertise your products. Under Zazzle‘s Affiliates section you will find various sized banners which you can use to general referral traffic, but these just link to Zazzle’s homepage and not your own store. However, if someone does make a purchase through those links you will receive referral income. Keep in mind — you can also received referral income on your own products ON TOP of your regular royalty! 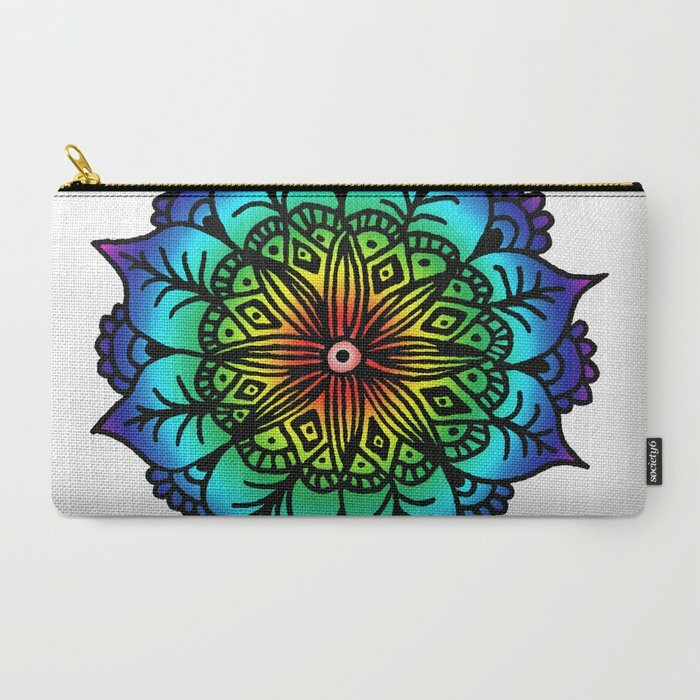 Society6 has recently introduced a curator link on each product page, so you can receive royalty on your own products or anyone else’s using this link. However, if you want to make a nice clickable product image like Zazzle’s, you will have to create the code yourself. For my blog posts I like to copy the image URL, then use the “link” option in the WordPress Text Editor, highlight that code, select “link” and add my curator link in there. One marketing initiative I like that Society6 does is that they will send out emails before their big sale promotions, such as Black Friday for example – in which they provide you with templates to create ads with so they look nice and consistent. However, this is something you have to play with yourself and be able to create your own images and codes in order to use. Unfortunately the shipping costs to Canada on Zazzle can be pretty high. However, if you are within the U.S. then their shipping rates are more affordable and sometimes they even have free shipping promotions (only 1 time in a year did I see this promotion though). 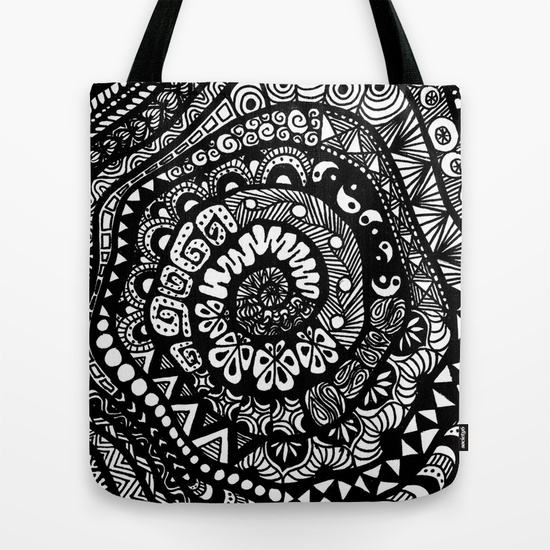 Society6, on the other hand, often has FREE SHIPPING WORLDWIDE promotions. Sometimes the promotion is site-wide, while other times they give you a special link for your friends and customers to click on. However, not ALL products qualify for free shipping, like the framed prints (boo). They do a promotion like this just about once a month though which is awesome. So, which one of these websites is better? Well I think that is something you have to decide for yourself! There are a lot of factors to take into consideration such as your art style, how comfortable you are with HTML coding, and how much time you have to put the work in for designing and advertising your products. In my opinion, if you’re trying to sell prints of your fine art then Society6 might be better for you. If you like design and making text-based graphic t-shirts and invitations then Zazzle will be your thing. Try both and see what works for you! For me, having stores on both websites is great for maximizing exposure. I may even expand to other POD websites in the future such as Fine Art America and Cafepress. I’ll let you all know if and when I do, and maybe even do another one of these comparison blog posts at that time! I hope you have found this guide useful. Feel free to leave any questions or comments below, and follow my blog if you like what you’ve seen here! I am pretty exited about this new design! I saved the original, hand drawn line art so now I can fill it in a variety of ways. This version is painted in Photoshop in a watercolour style. This piece is semi inspired by Day of the Dead, sugar skull style art. Just FYI you can change the background colour to any one of your choice, I just felt it looked pretty good against a black background. White looks nice too! Anyways I hope you enjoy my latest work and if so, please follow my blog and/or follow me on Facebook for updates about my designs and products! Finally, check out my website and also my Zazzle store for more info!